Last week began with Earth Day and ended, at least for me, backstage at the Grand Ole Opry. It was quite a journey – both physical and cultural – that took me from Maine to Washington, D.C., for a benefit concert sponsored by JusticeAid, which was founded by my friend Steve Milliken to use great music to raise funds for social justice organizations, then to Montgomery, Alabama, for the opening of the National Memorial for Peace and Justice, on to Nashville for a concert by the Four Tops and the Temptations, and finally to Opryland. 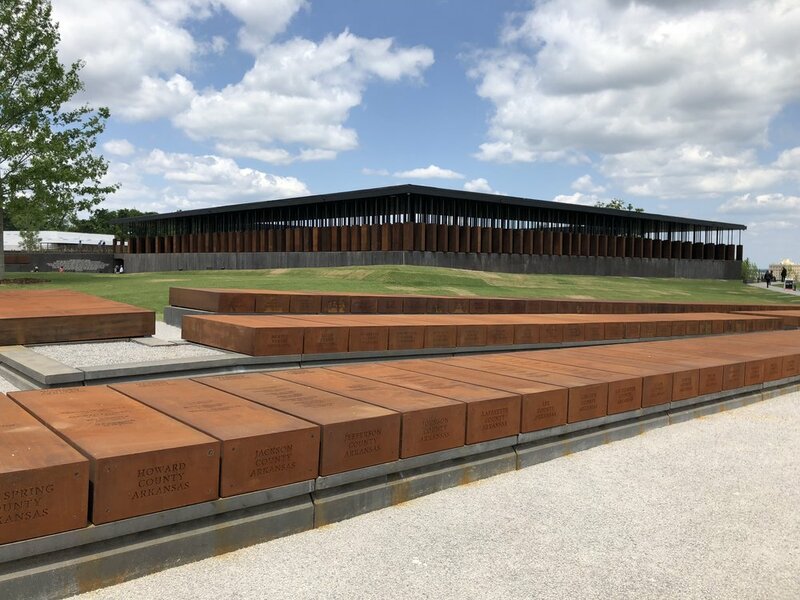 My journey actually started a few months earlier when I got word of the opening of the Memorial on April 26th, which happens to be my birthday – and I could think of no more inspiring place to spend it than Montgomery. I have long been an admirer of Bryan Stevenson, who almost 30 years ago founded the Equal Justice Initiative to provide legal assistance to innocent death row prisoners, work he chronicles in his book, Just Mercy. 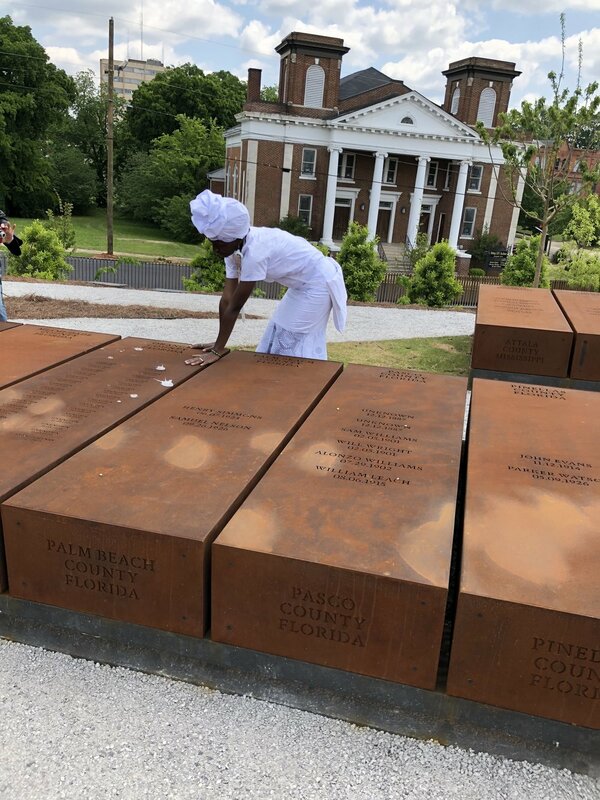 With last week’s opening of the Memorial and the Legacy Museum, Stevenson’s vision now extends from slavery to Jim Crow segregation to lynching to mass incarceration, all of which were legally sanctioned by the United States government. It’s a story that has for too long gone untold in America, not only because it is so ugly, agonizing and uncomfortable to confront, but also because it contradicts the story of America that we tell to ourselves and to the world – the story of the land of the free, where all men are created equal and life, liberty and the pursuit of happiness are self-evident truths. In Montgomery we confronted our history – or more accurately, our history confronted us with a rawness from which we have shielded ourselves for centuries. It confronted us in the stories of families torn apart and their pieces sold to the highest bidders. It confronted us with images of backs striped and scarred beyond healing by the overseer’s lash. It confronted us with a legal system in which the number of people in prison has grown from 300,000 in 1972 to 2.3 million today, despite a sharp decline in violent crime, and in which almost 3,000 children have been sentenced to life without parole. Above all, it confronted us with the bodies of human beings tortured, burned alive, and hanging like strange fruit from the branches of trees, lynched for such crimes as asking a white woman for a drink of water or for having a white man who tried to assault his daughter arrested or for “standing around” in a white neighborhood. And yet, declared speaker after speaker at last week’s opening, it is a story that must be told. That such sentiments could find voice amid the brutality chronicled here is only one of the amazing things about this place. I invited all my children to come to Montgomery last week, but only my daughter Annie could make the trip. I’m going back with the others, and with their children, because I want them to understand the truth about our country’s past and to witness hope quite literally rising from the ashes. Race Relations, Social Justice, American Dream, America, Alabama, Martin Luther King Jr.